Now under the stewardship of Jean-Charles Cazes, changes are afoot at Château Haut-Batailley. When it comes to full plates, Jean-Charles Cazes' is fuller than most. He's got a massive hole in the ground where once stood his winery, an 18th-century relic that, while lovely to look at, had been outgrown by the estate's needs for some time. The new Château Lynch Bages will more than double the size of the previous facility, including doubling the number of vats, which will range in size to better fit with the intra-parcel selection process that has helped revolutionize Bordeaux since 2000. It's slated to be complete in time for the 2018 harvest. Cazes' enthusiasm for the project is evident as we walk around the bottom level. The foundation has been poured, a sleek, smooth, beautiful gray concrete. The gravity-flow winery will have a modern look to match its upgrades in efficiency and functionality. Lynch Bages winery construction: Trust me, it’ll look great when it’s finished. Meanwhile, a stone's throw away, Cazes' other project is Château Haut-Batailley, which he purchased at the start of 2017. The new vintage is the first under his control and the 65/35 blend of Cabernet Sauvignon and Merlot, tasted non-blind, is plush and warm in feel, with slightly dusty tannins carrying dark currant and tobacco notes along. It's a touch old school in feel, and it will be interesting to see how, and if, Cazes tweaks the style here. A few more tanks will be brought in to help dial in on the precision. 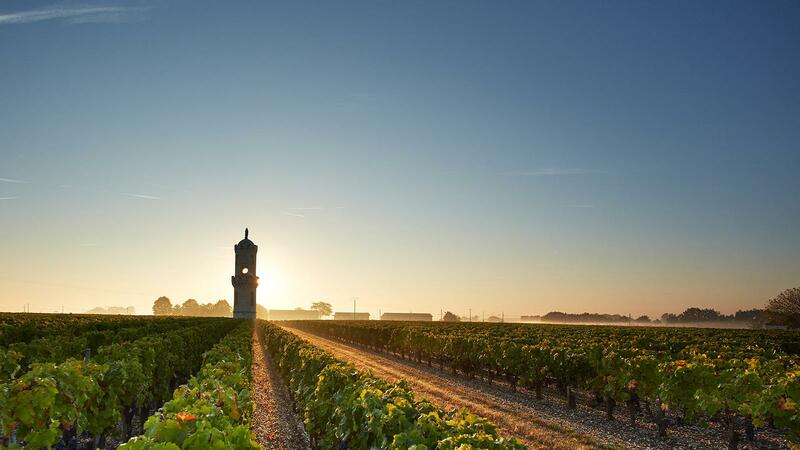 And an extra 37 acres of vines will be planted this coming year to further jump-start the production (47 acres of the estate have been lying unplanted, an extreme rarity in an appellation as high-end as Pauillac). "These soils are well-rested," Cazes smiles. "It's really a chance to do something new, from scratch. So we will be working organically on these plantings as a means of progressing in that way. It is such an opportunity." As for the 2017 vintage, Cazes says matter of factly, "There are three sides to '17. One side was hit by the frost and has no wine. One side was partially hit by the frost and has to decide if they will use second-generation grapes that didn't get ripe or not—a quality issue. And then there is the side that wasn't hit by frost and had a very good yield. In Pauillac in general, '17 was the best yield since 2004. At Lynch Bages, the best since '09. We averaged [more than 3.5 tons per acre] in '17 here," he says, with the smile breaking across his face again. "Yields are a function of budbreak and flowering, both of which were good and homogenous in '17," he says. "The rain started around June 20, but it was after the flowering, so there was no impact on the yields." "We could have used a bit more sun in August—that would have resulted in another '16. But really there was no problem, save for the frost. It was not a complicated vintage. The rain in September may have diluted the Merlot a little. The Cabernet was definitely a step above the Merlot. The tannins are very fine. The wines are not massive but they are very balanced," he adds. The 2017 Ormes de Pez St.-Estèphe is fresh and pure, with lovely floral and cassis notes underscored by a fine chalky minerality. Always understated in style, this wine has a sneaky long ageability: a recent bottle of the 1995 in New York was fully mature and singing. The 2017 Echo de Lynch Bages Pauillac is the second wine of the main estate, offering a fresh and approachable profile even at this early stage, with lots of charming cassis and plum fruit offset by a light mineral edge. The 2017 Lynch Bages Pauillac grand vin is intense, almost sappy, with loads of kirsch, blackberry and plum fruit. It is sleek, racy and fresh through the finish, with nicely inlaid acidity giving it a precise feel. The 2017 Lynch Bages White is down 30 percent in volume, as the frost nicked these parcels, located farther west and outside the Pauillac appellation. The blend is 40 percent Sauvignon Blanc, 41 percent Sémillon (the most since 2008, as frost affected Sauvignon Blanc more) and 19 percent Muscadelle. It shows a very bright honeysuckle, white peach and verbena profile with a fleck of savory through the lively finish. It's refreshing and high-pitched now but should settle in and broaden out soon enough. It was bottled the day of my visit.